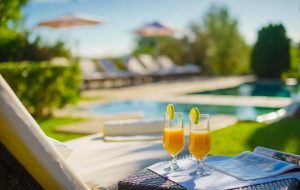 Today there are lots of villas that can be booked in Mallorca, in the Balearic Islands or in other places. This makes it difficult to choose because of two aspects: It is difficult to find a nice villa and even more a villa that offers a good service in order to ensure a problem free holiday trip. Our company is working in the holiday villa rental market since 35 years. That is because we have a large experience and choose only the best villas. We deliver a service that is so good, that most of our clients are returning to our company. And even further, most of our clients change the villa every year, because they know that they are in good hands and that they can expect the same good service and high quality properties from every villa in our catalog. We use well trained, experienced personal that will make your stay with us to an unforgeatable experience in Mallorca. We know to react very quickly if the clients have a request and we know also how to advance most of our clients wishes. Don´t play with your holiday, choose MallorVillas!